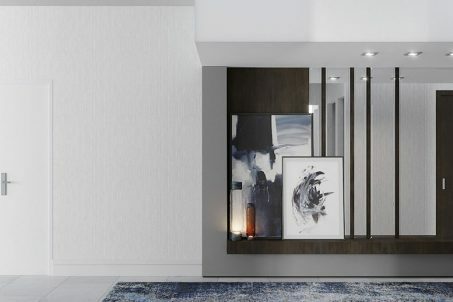 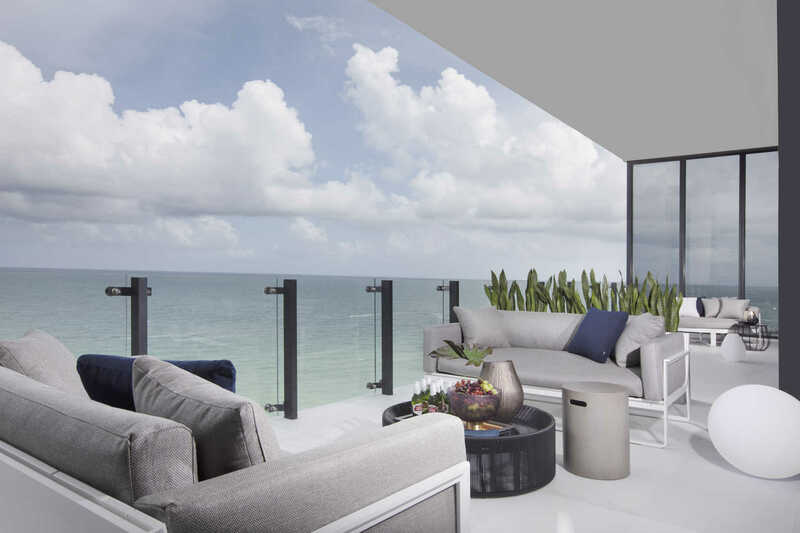 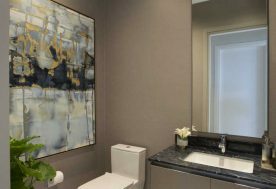 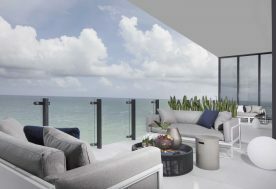 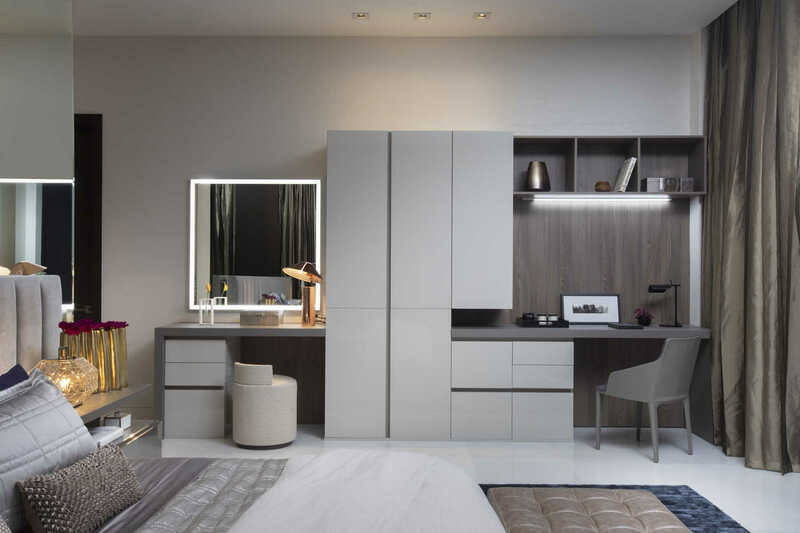 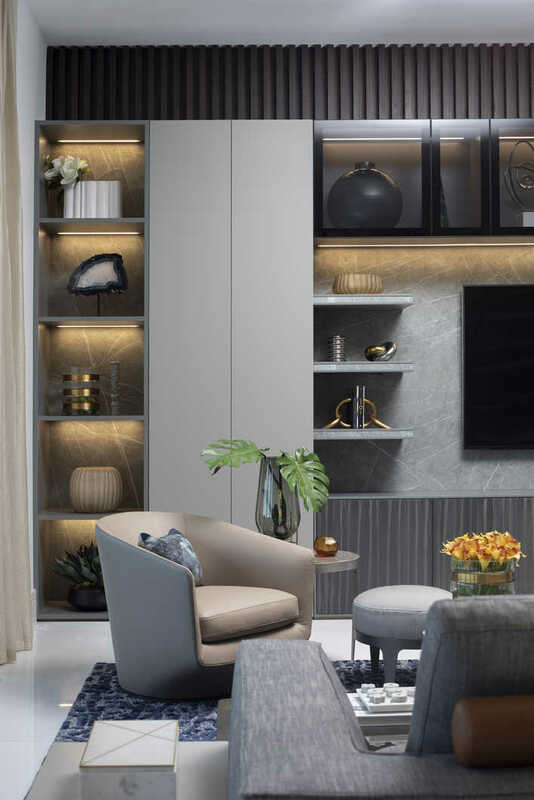 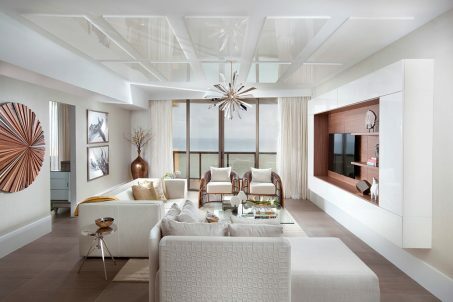 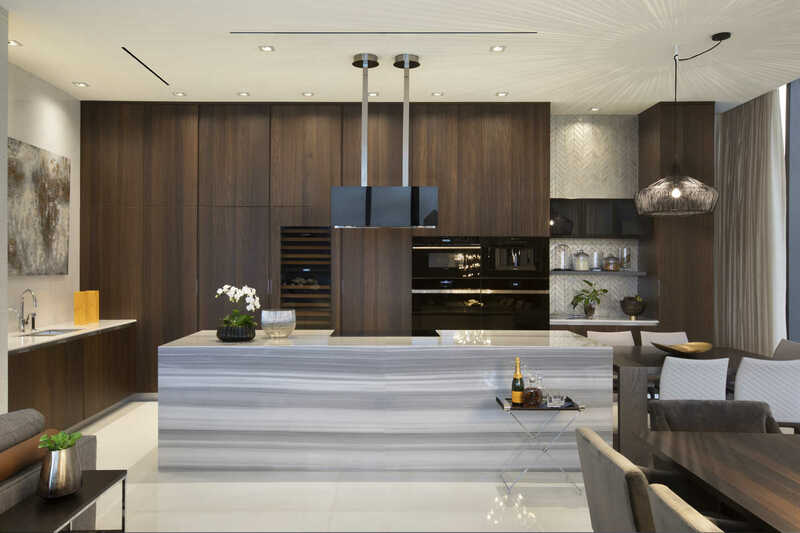 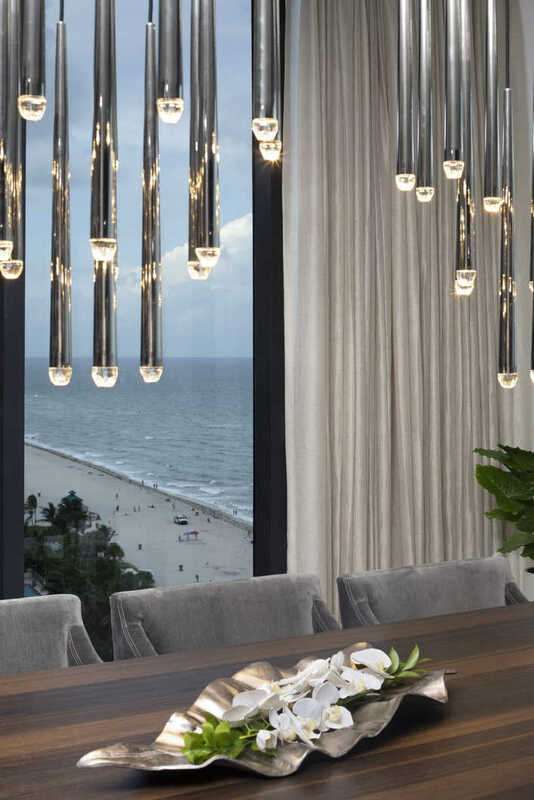 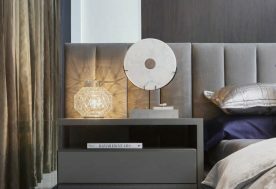 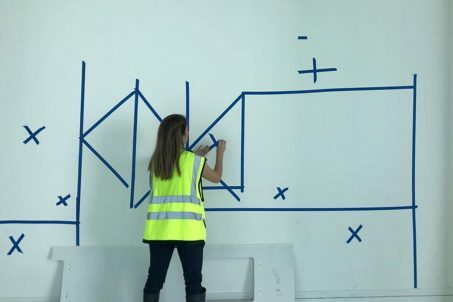 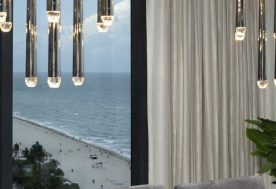 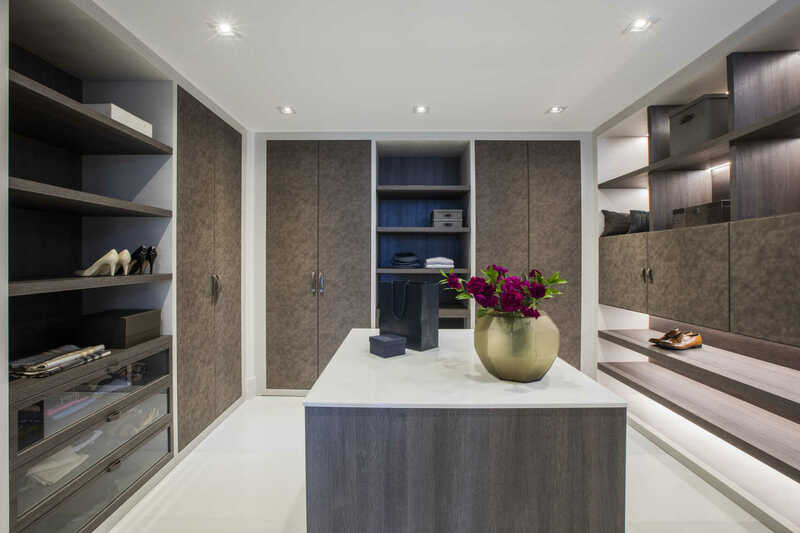 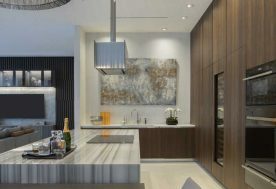 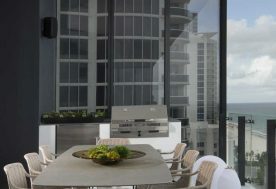 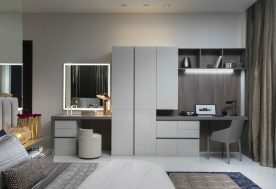 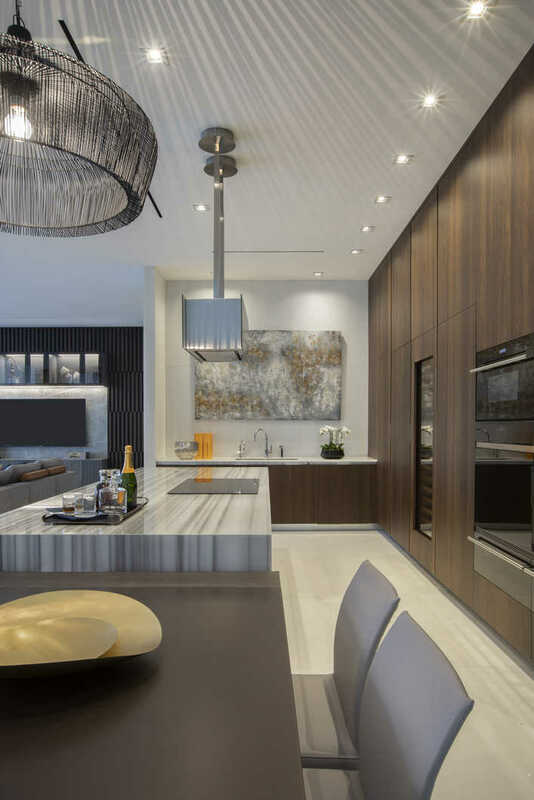 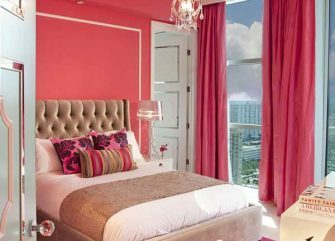 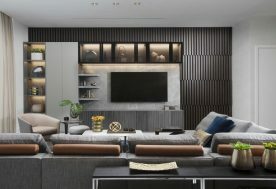 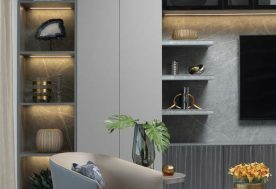 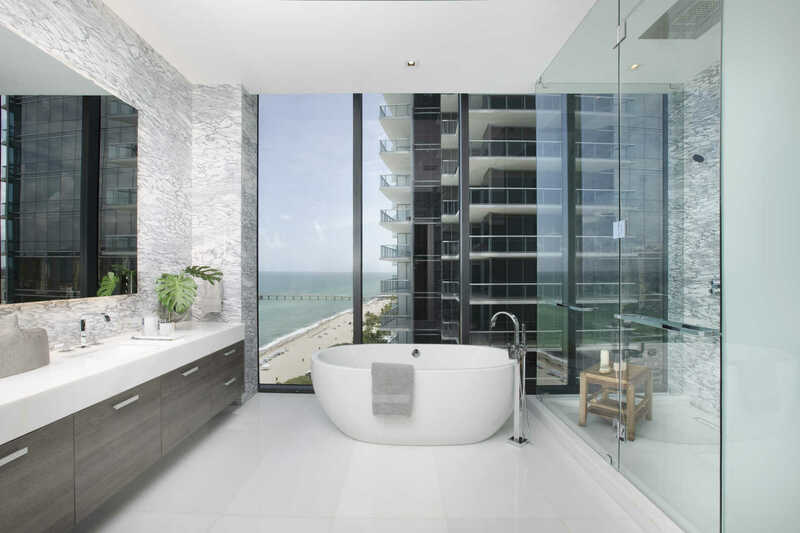 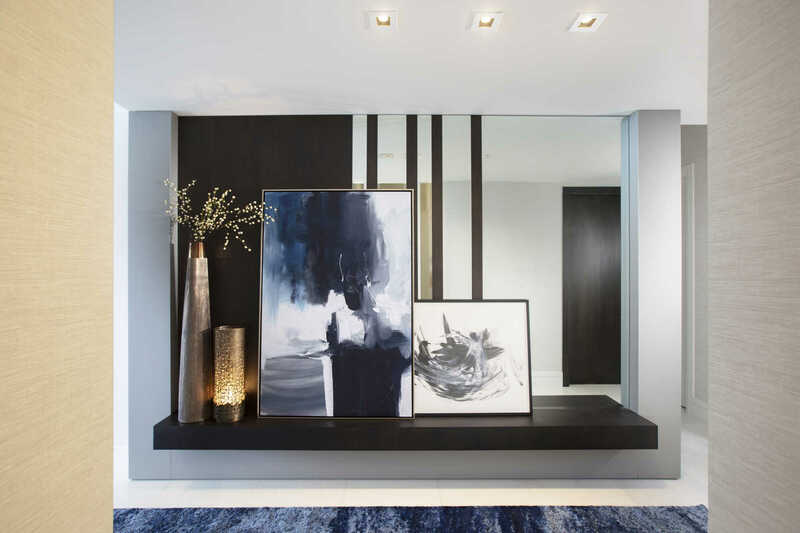 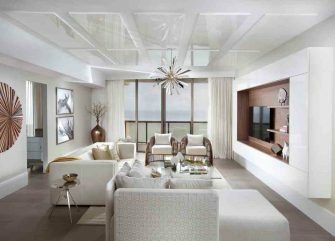 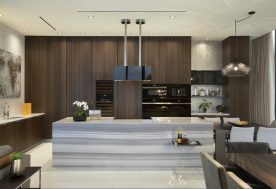 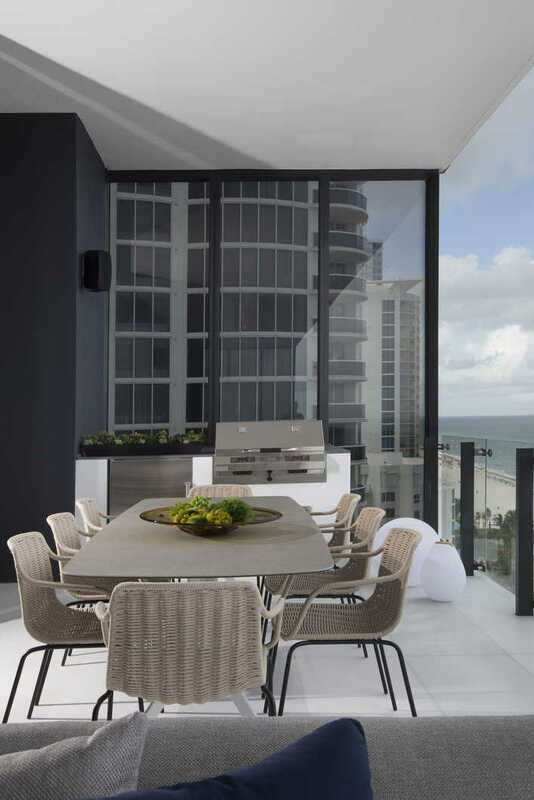 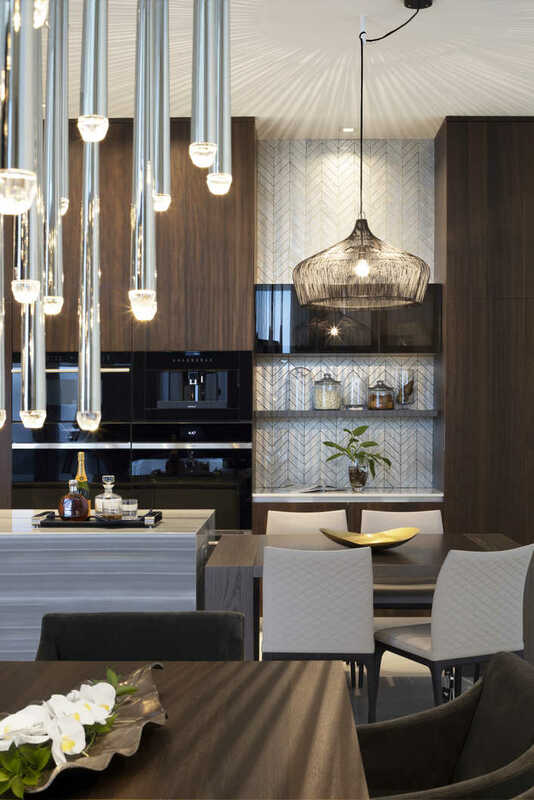 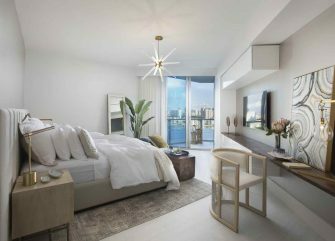 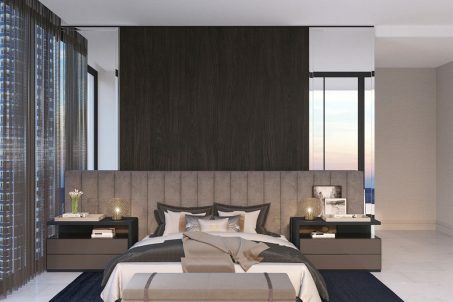 Our design team is created a home befitting of becoming an international family’s first long-term residence in a new luxury high-rise in Sunny Isles. 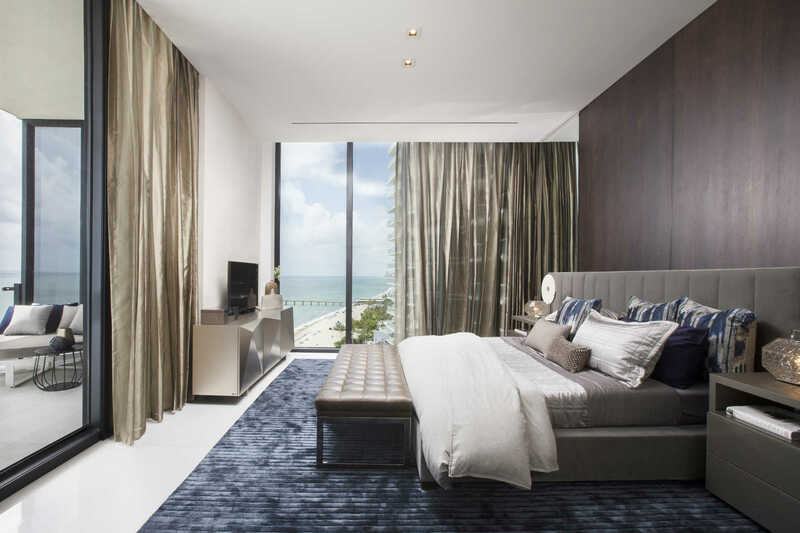 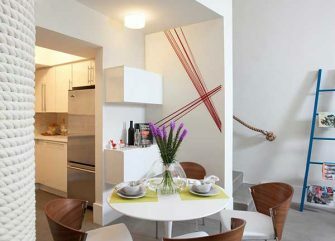 This 4,355-square-foot oceanfront condo in the Muse Residences is perfectly designed for the needs of this young family. 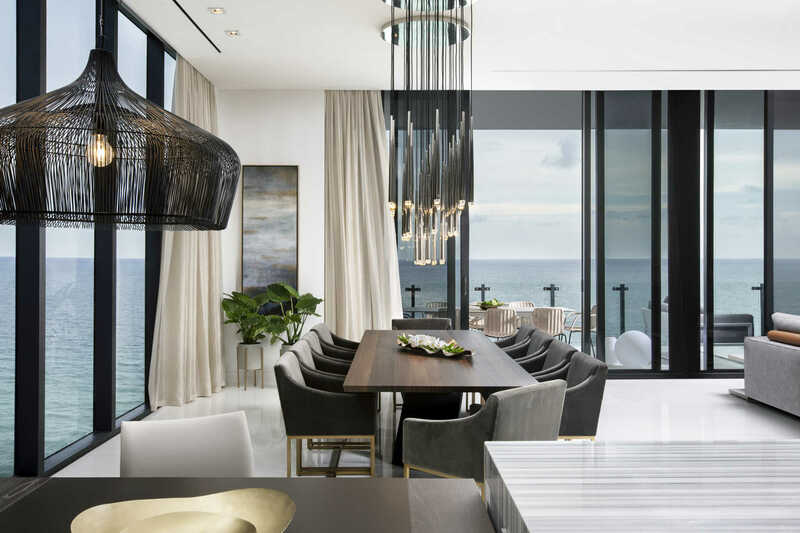 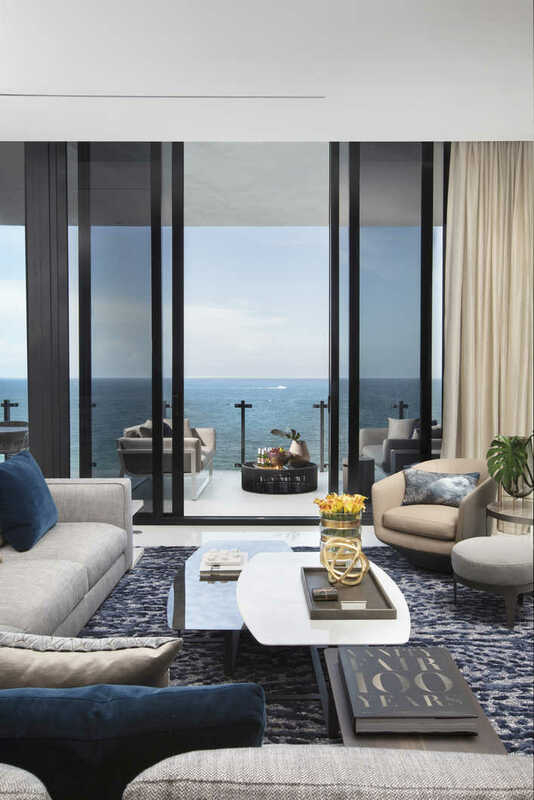 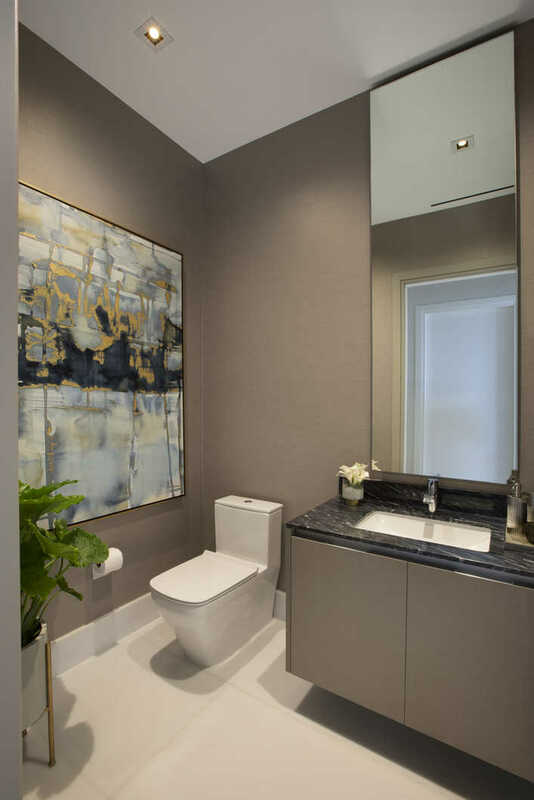 Inspired by the wonder of new beginnings, this home features a richly textured, modern design that embraces the breathtaking ocean views just outside the windows. 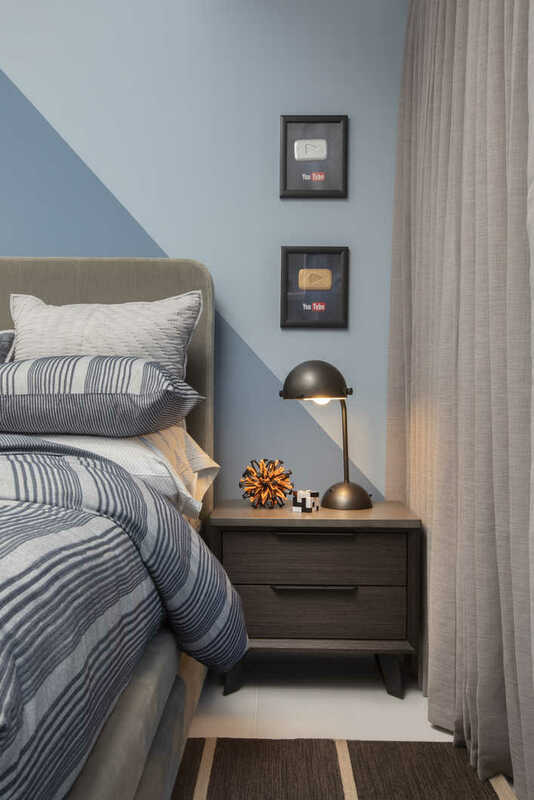 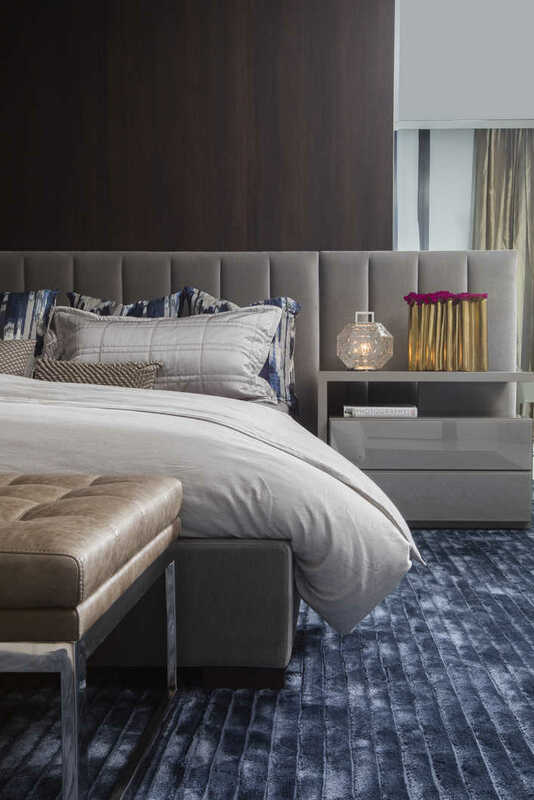 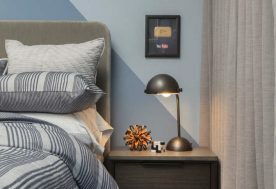 Gray-toned woods set the stage for a soft, monochromatic palette, which is highlighted with pops of rich indigo, slate blue, and elegant champagne. 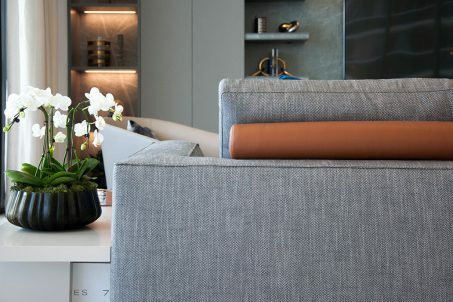 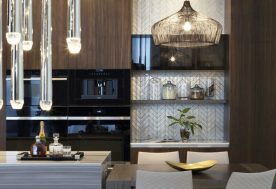 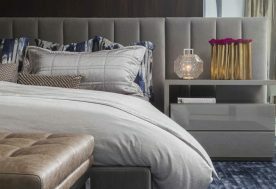 Textured wall coverings and upholstery, like tweeds, leather, and woven fabrics, lend interest to each beautiful space.